The EasyTEST Board is an ideal solution for connecting your prototype or development board to oscilloscope or other monitoring devices. This board helps you to double the number of pins of single IDC10 PORT header, which allows you to monitor signals using oscilloscope probes while the PORT is in operation. 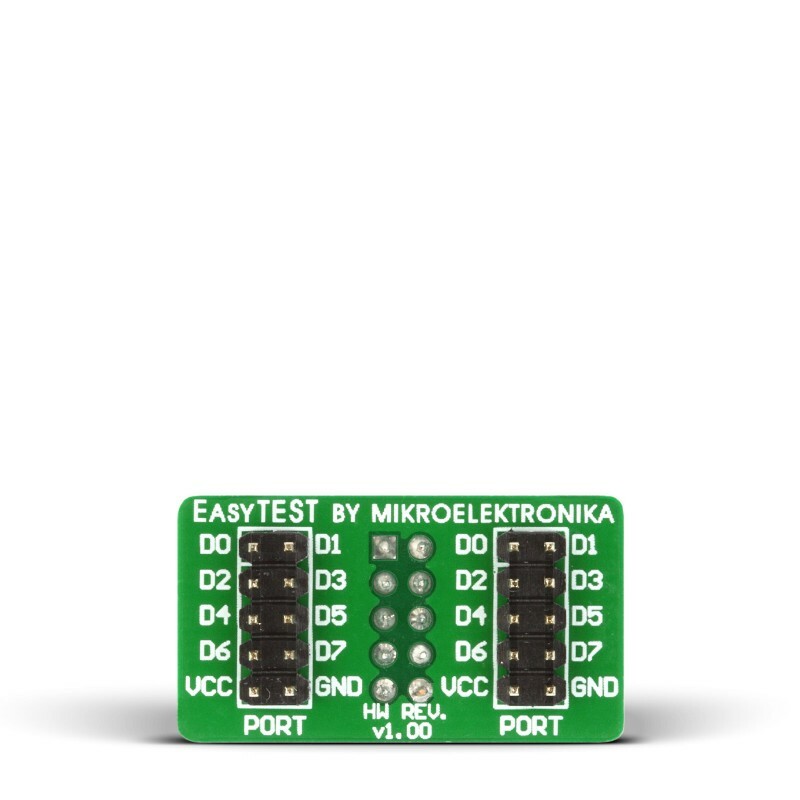 Board is also useful when you need to connect two boards to the same PORT at once.